Many power cables and data cables exist inside your computer, providing power to various components and allowing communication between devices. The motherboard has one or more power connectors, as do devices like hard drives, optical drives, and even some video cards. All of these devices connect to the motherboard via the use of data interface cables (usually IDE cables). You can see how all of these devices connect to one another by taking a Tour Inside Your PC. These photos accompanying the steps in this guide show how to reseat the power and data cables on a hard drive only. However, the logic is the same as with the other cables and connections inside your computer. Before you can reseat any internal data or power cable, you must power down the computer and open the case. For detailed steps on opening your computer's case, see our article on how to open a standard screw secured computer case. For screwless cases, look for buttons or levers on the sides or rear of the computer that are used to release the case. Before you can reseat any cables inside your computer, you should unplug any external power cables, just to be safe. You should also remove any other external cables and attachments that might get in your way. Once you've opened your computer's case, locate, unplug, and then firmly reattach every power cable inside your computer. 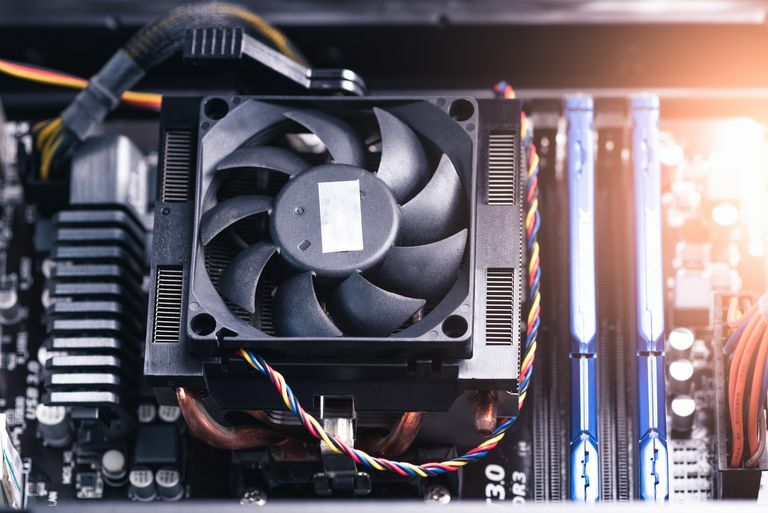 There may be many different styles of power connectors inside your computer but all of them, aside from the large one connecting to the motherboard, will be small and relatively flat. If you have any doubt as to what is a power connector, follow the cable. If you can trace it back to the power supply then it's a power connector. All peripheral devices inside your computer will have a power connector including hard drives, optical drives (like CD/DVD/Blu-ray drives), and floppy drives. The motherboard itself will also have a large power connector and very often also a small 4, 6, or 8-prong power connector near the CPU. Most high-end video cards also require independent power and thus have power connectors. As long as the power connector is of the same type, it doesn't matter which one is plugged into which device. Choose a device to work with (for example, one of your hard drives) and carefully unplug the data cable from both the device end and the motherboard end. There's no need to remove the entire cable from the computer — just unhook both ends. You're more than welcome to remove the entire cable if you plan on improving the cable management inside your computer but it's not necessary to successfully reseat your cables. After you've unplugged both ends of the data cable, plug each end back in, just as you found them. Don't try to reseat every data cable at the same time or you're likely to get confused about which cable went where. If you were to accidentally connect a device to a different port on the motherboard, there's a good chance you could change the way it's configured which may cause your computer to stop booting properly. One device at a time, repeat Step 4 and Step 5 for each remaining device with a data cable that you have inside your computer. Some additional devices you might have that use data cables include hard drives, optical drives, high-end video cards, and sound cards, floppy drives, and more. Take a close look at each device and area of the motherboard that you worked with and make sure that the correct power and data cables are attached. Now that you've reseated all of the power and data cables inside your PC, you'll need to close your case and hook your computer back up. As we briefly talked about in Step 1, desktop computer cases come in many forms. If you need help closing your PC's case, please check your computer or case manual. If your computer was powering on properly before you reseated the internal cables but isn't after the reseating, follow the steps in this guide again. You likely forgot to properly plug back in a power cable or data cable.​ ​If you've reseated the internal power and data cables as part of a troubleshooting step, you should test to see if the reseating corrected the problem. If not, continue with whatever troubleshooting you were doing.